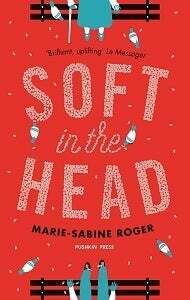 HIS mother calls him a “halfwit” but something is unleashed when 45-year-old Ger­main starts an unusual and life-transforming friendship with 85-year-old Margueritte. They become friendly after chatting when he goes to count the pigeons in the square and she introduces him to books. Soon Germain learns the value and power of words. Uplifting, bright and hopeful from the first pages, this is a wonderful little book. It follows Germain perfectly from the short tabloidese of the first chapters to the longer, more thoughtful vocabulary later. Frank Wynne’s translation is superb.